Surrounded by her favorite gals in matching flannels, at the cutest little salon in downtown Charleston, Kerry got ready to marry her soulmate. 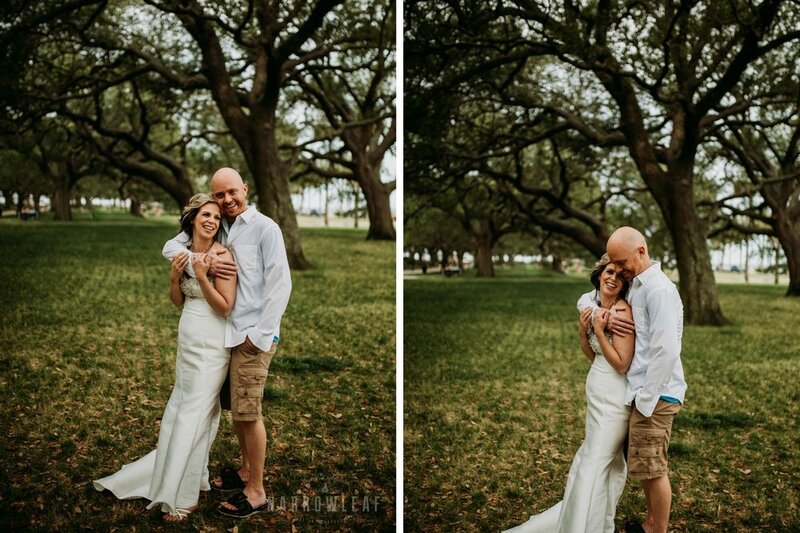 From there she met her husband-to-be at the White Point Garden, amongst the beautiful Oaks overlooking the harbor, for their intimate first look! Historic downtown Charleston was such an incredible place to photograph Kerry & Adams' bridal photos. With all the old buildings, historical monuments, cobblestone paths, brick literally everywhere and those incredible, old winding oak trees gave this area a ridiculous amount of character! Following our little explore sesh downtown, we all headed for the beach where they rented a beach house for the week. 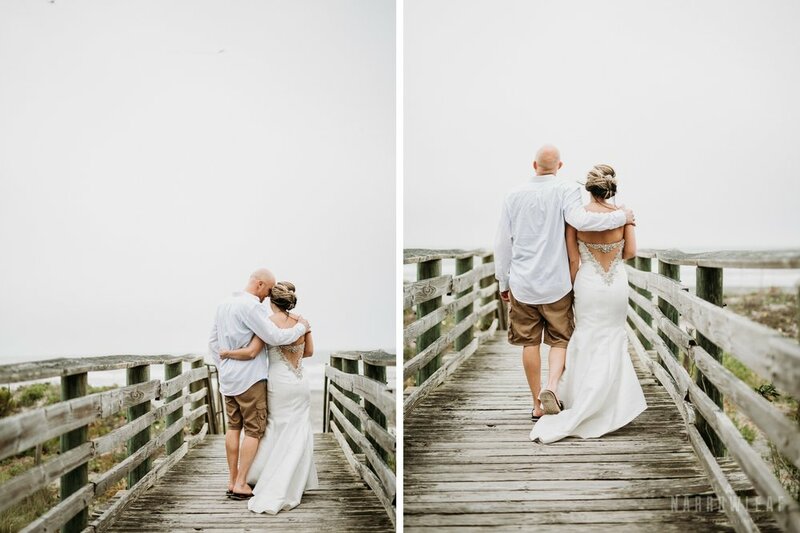 Kerry & Adam walked each other down the sandy isle, in front of only their closest family and friends, to celebrate the joining of their hands in marriage. As the sun began to set, Kerry, Adam, myself and my amazing assistant hit the beach for some moody and steamy images of the newlyweds. They played in the sand, ran in the ocean, loved up on each other while truly celebrating their love! What's most amazing on a wedding day, (in my opinion) is when the bride and groom finally get to just be in love and with each other...! 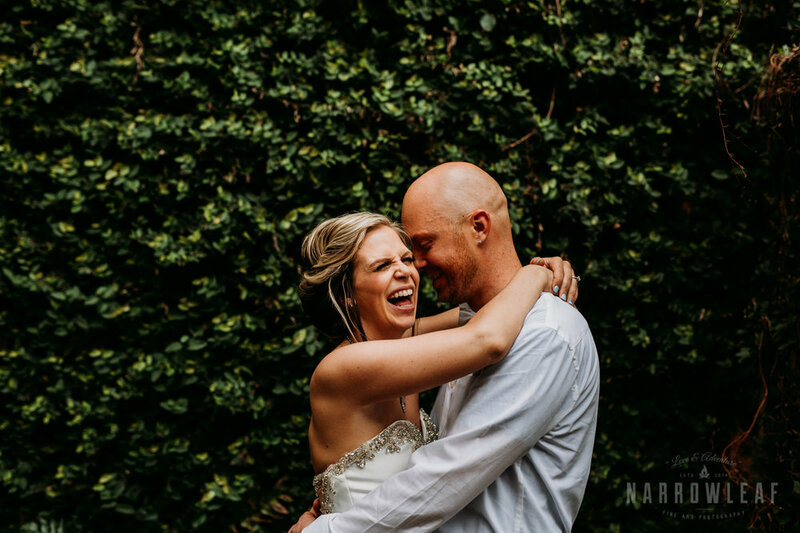 Whether its sneaking away at sunset for a few intimate moments or running through the ocean hand in hand... these are the moments they will remember!